He said they should work hard and detach themselves from traditional approaches to be able to compete better and generate a lucrative income. "The government will change its ways..so the people will also have to change to overcome the problem of poverty in the country. “We cannot rely on free money, but (we should) rather increase production to raise income levels," Mahathir said during a function with fishermen and farmers at the Marang District Council Hall in Marang. Also present were Terengganu Menteri Besar Dr Ahmad Samsuri Mokhtar and Agriculture and Agro-based Industry Minister Salahuddin Ayub. Mahathir said the Pakatan Harapan government was also working hard to transform the agricultural sector. Taking the example of China, he said although the population of the country was 1.4 billion, they could still meet their domestic needs, whereas Malaysia had to import food from abroad despite having a population of only 32 million. "A country needs to be able to meet at least 50 percent of the local food supply demand on its own. "We still have vast amounts of land (for agriculture) but we rely on imported food items such as vegetables when we can actually produce it ourselves," he said. 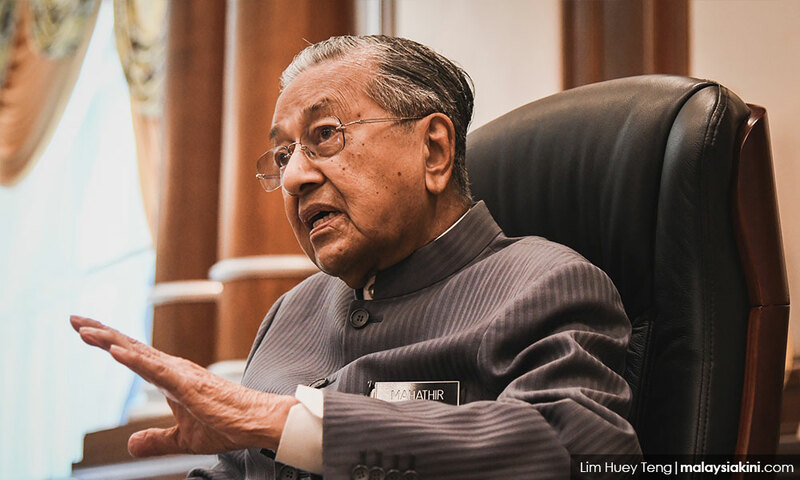 Speaking before some 1,000 farmers and fishermen, Mahathir suggested that they not only diversify their crops, but also consolidate their land to maximise production. In addition, he said, fishermen should keep up with the times by using deep-sea boats with freezers onboard so they could stay longer out at sea and get more harvests.